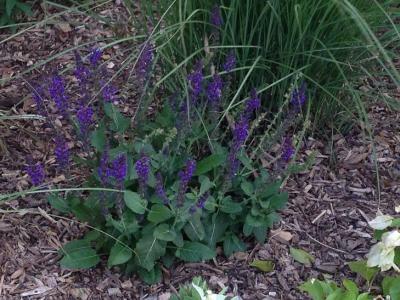 Groundscape Solutions, A Fort Worth Landscape Design Company, Plants a flower bed with Blue Pincushions. Pincushions get their name from the flower resembling a sewing pin cushion. Pincushions come in Blue, Pink, and White and are great for attracting birds and for cuttings. Pincushions must have full sun and good drainage. These flowers are deer resistant and drought tolerant. Pincushions are low maintenance and great for these Texas Flower Beds. Give us a call at 817-759-0102 for a quote and visit us on our website at www.groundscape.com Groundscape Solutions is a fully insured Landscape Design Company and will provide references.